I recently launched this course on Skillshare, but many of you who don't have a Skillshare membership have reached out to ask if I can make the course available outside of Skillshare. So I'm thrilled to be able to offer the class on my website! View the course intro below. I've spent many years experimenting with ways to incorporate texture into my work that's simple and effective. You'll learn tips and tricks that I use in my vector graphics that you can incorporate into your workflow to save you hours of time and give you more control. - How to use simple shapes to create almost any animal! - Techniques you can apply to any vector project! OMG! What an outstanding presentation. I have been doing a similar technique with pen and ink in AI and Lisa blew me away with tips I have never heard of. Thank you for being so generous in sharing your techniques. In addition, the class was succinct but still detailed enough to clearly follow along and entertaining too! 10 stars!!! Lisa did a brilliant job of teaching and inspiring us! I don't think of myself as an illustrator, but I'm excited to try my hand at something. Thanks, Lisa! OMG! I learned so much in this class. 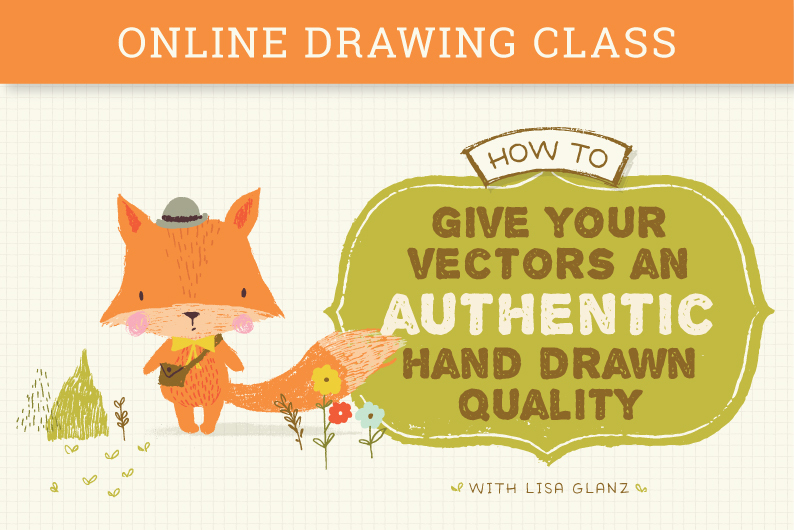 Lisa has some great tips on using Illustrator tools. She is very thorough in explaining her process from hand-drawing to a vector graphic. GREAT class ... thank you, Lisa! When's the next one? Enjoyed this class. Lisa was fun and engaging and I came away with a few good little illustrator tricks and techniques I can now implement into my artwork. Thank you Lisa. Once your order is complete, you will have access to a pdf download that will include a link to your course and your private password to access the page. The course consists of 11 video lessons you can watch at your own pace and will never expire.